Welcome to Ayrsley a Mixed-Use Community, Southwest Charlotte’s most walkable community, conveniently located off I-485 & South Tryon. Stroll down Ayrsley Town Boulevard and pop in one of our 20 restaurants & bars or grab a movie at Ayrsley Grand Cinemas with a friend. 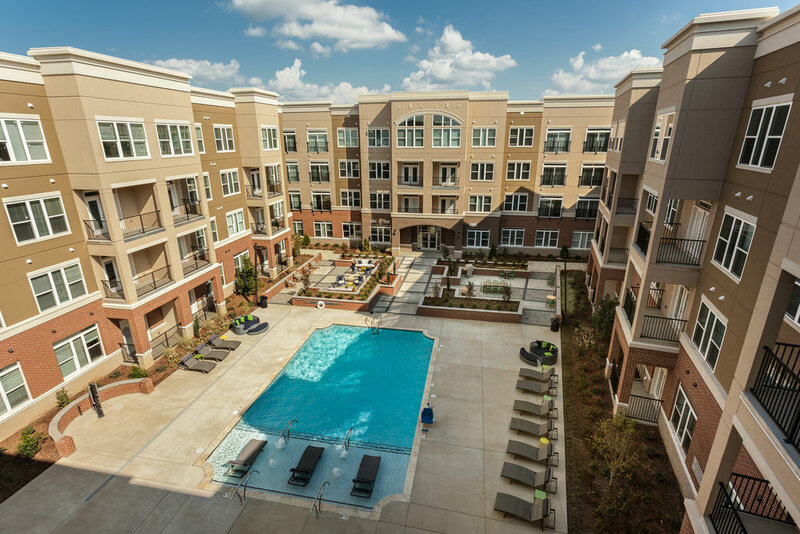 Steps away from your home or your office, Ayrsley brings family & friends together. Whether it’s at one of our seasonal events on the Ayrsley Event Lawn, bowling at Piedmont Social House, or an open house on one of our college campuses. Do some shopping, hit the gym, stop at the salon, pick up the dry cleaning, make your dentist appointment-all while parking your car once. Vibrant & convenient, Ayrsley in Steele Creek allows you to complete your to-do list in one location. Authentic Urban Living in the Suburbs. Mexican, Italian, Indian, American, Japanese all within walking distance of each other in some of the best restaurants in Charlotte. Bowling, movie theater, events, live music-spend your night on the town in Downtown Steele Creek. Enter a corn-hole tournament, bocce league or listen to live music on the Ayrsley Event Lawn. Ayrsley has plenty of room with 4 hotels residing on campus. Business and leisure travelers have plenty of options just minutes from Charlotte Douglas International Airport. Luxury living in Southwest Charlotte’s most vibrant community. Live in one of our five apartment & town home communities. Ayrsley is transforming creative and collaborative campus work spaces. Focusing on a work environment designed for employees who put a premium on vibrancy, transit-friendly, and walk-able amenities. Boutiques, salons, medical offices & gyms make it easy to complete your errands. "This little pocket is right where South Tryon meets I-485 and it’s transforming from a sleepy suburban commercial center into something a lot more active: Steele Creek’s downtown. Ayrsley is downright cool."